As a world leader in Membrane and Adsorption Technology, GENERON provides a full range of Custom Engineered Systems to reduce the overall package size, weight, installation time, and operation cost. These packages can include Primary Air Compression, Instrument Air or Dry Air System, Nitrogen Generation System, High Pressure Booster Compressor, and Nitrogen Bottle Fill or Bottle Back-up System when needed. Nitrogen Generators have been the core business of GENERON for over 35 years. 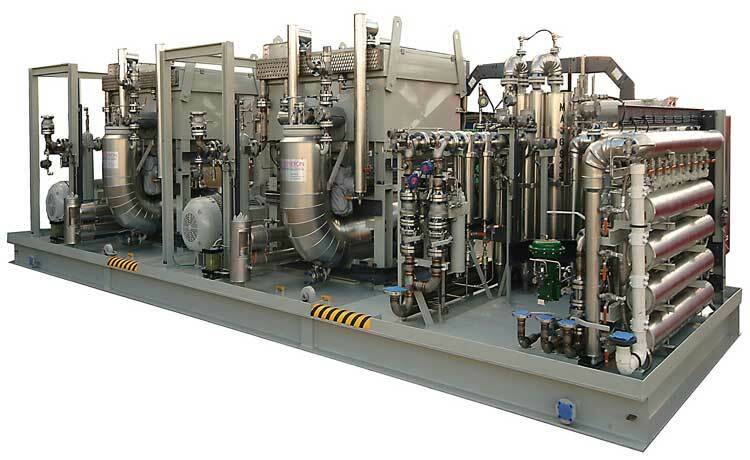 GENERON has become one of the most proven suppliers of Nitrogen Generators as well as Packaged Equipment to the Offshore Oil and Gas Industry. As our product name has grown, so has the supply of integrated primary and post compression packages to the industry. Our systems are designed for the harshest environments. This product offering includes Supply Air for the Nitrogen Package, along with Instrument Quality Dry Air Package for instrumentation, controls, or other needs of our clients. All systems can be packaged on one base, with smallest available footprint, for ease of transportation, connections, and operation. To improve the space requirements and offerings, GENERON developed the Patented Dehydration Hollow Fiber Membrane as an alternative to the Twin Tower Desiccant Dryers most commonly used for providing Instrument Quality Dry Air. Expanding our knowledge of compression systems, GENERON engineers and manufactures both Nitrogen and Natural Gas Compression packages. Working with our clients, we provide a wide variation of post compression systems to meet the demanding needs of the Oil and Gas Industry. 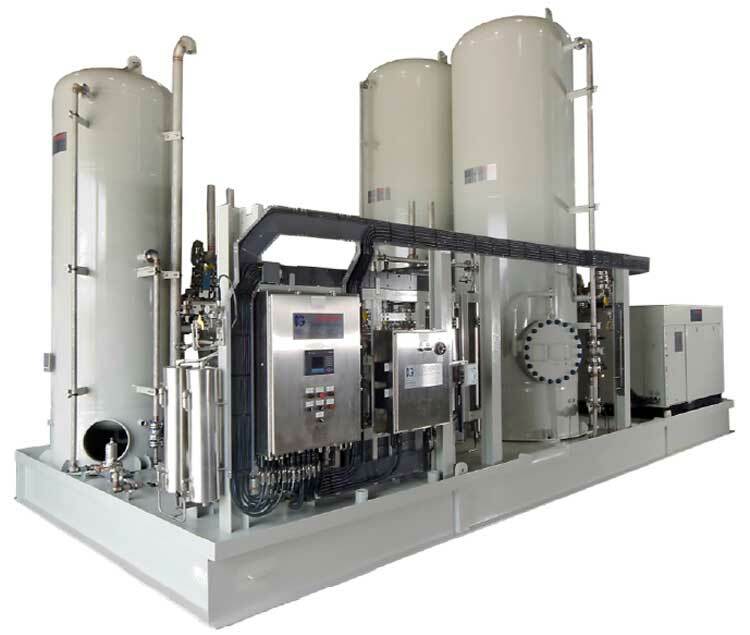 GENERON has provided engineered Post Compression systems as standalone units as well as being integrated as full line systems including Primary Compression and Nitrogen Generator Systems. GENERON is the world leader in the design and fabrication of Nitrogen Generators for both Offshore Platforms and FPSOs for the Oil and Gas Market with thousands of systems operating worldwide. GENERON can meet all third party regulations and specifications. For more information on GENERON® Nitrogen Generator Marine and Offshore Systems, please contact us at +1.713.937.5200 or or using our online form.